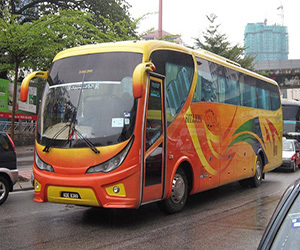 Billion Stars Express offers comfortable double-decker bus services from Singapore to Kuala Lumpur, and other popular destinations e.g. Penang and Ipoh. Besides their operation from Singapore, it offers trips originating from Malacca, Kuala Lumpur and Penang. Blk 809 Kitchener Complex, #02-42 "Regent Star Travel" (at Lavender MRT Station).